3D Flash Support for high-endurance CompactFlash cards or memory modules compatible to host systems with CompactFlash™, IDE or PATA interfaces. 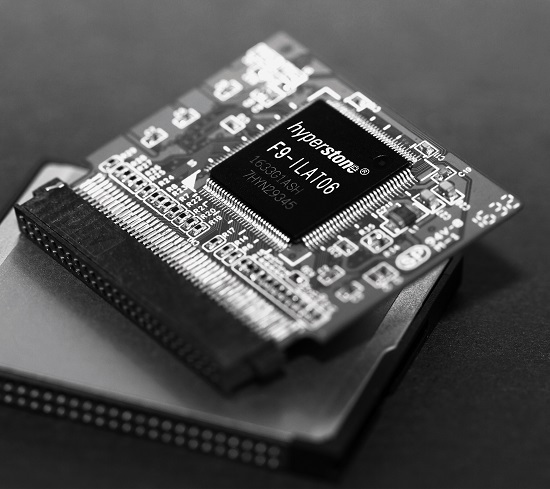 The Hyperstone F9 NAND Flash Memory Controller together with flash specific firmware offers an easy-to-use turnkey platform for industrial, high-endurance CompactFlash cards or memory modules compatible to host systems with CompactFlash™, IDE or PATA interfaces. Customized firmware, optimizations and feature implementations possible upon request. Hyperstone´s API software allows engineers to innovate and design unique storage solutions by developing individual firmware extensions. Take your design to a new realm and learn how others implemented the API.